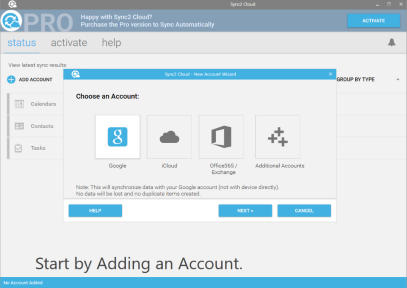 With Free Sync2 Cloud you can import and export iCloud Contacts to/from Microsoft Outlook 2007, 2010, 2013, 2016. By adding iCloud Contacts to Outlook, you will be able to access and edit your iCloud and iPhone Contacts in Microsoft Outlook. Transfer iPhone Contacts to Outlook using Sync2 Cloud. In order to transfer all your iPhone Contacts to Outlook you will have to use iCloud and Outlook Contacts synchronization. 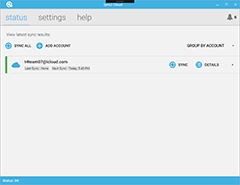 With Sync2 Cloud you can transfer all Microsoft Outlook Contacts to your iPhone via iCloud without iTunes. To transfer Outlook Contacts to iPhone you will have to sync Outlook with iCloud and enable iCloud Contacts sync on your iPhone. Repeat steps 3-6 to add Contacts from other iCloud accounts, if you want to sync Outlook with multiple iCloud accounts. After the synchronization your iCloud Contacts will be imported to Outlook.